2 "NO WAR, NO WAY"
5 "Katrina: A Challenge for the Movement"
Brenda Stokely iw a New York City activist. In May 2007, under the theme “Women of the World: a vital force against neoliberal globalization, terrorism and imperialist wars; for equality, social and economic justice and for peace,” more than 1,000 women representing organizations from five continents met in Caracas, Venezuela, from April 9 through 14. They were joined by thousands of Venezuelan women who hosted the 14th Congress of the Women’s International Democratic Federation. Many women went from the U.S. The largest delegation was organized by African-American artist Vinie Burrows, who is also the WDIF representative to the U.N., and the National Women’s Fightback Network of the International Action Center, an affiliate of the WIDF. The Burrows delegation included representatives of the Granny Peace Brigade and the Women's International League for Peace & Freedom. The NWFN delegation included Susan Abulhawa, Palestinian writer and director of Playgrounds for Palestine; Brenda Stokely and Anna Wilson from the labor sector; Patricia Dahl, who works in solidarity with Colombia; Nellie Hester Bailey, co-founder and director of the Harlem Tenants Council; Sara Ann Mokuria, LeiLani Dowell, Liza Green, Jill Hill, Kris Hamel, Minnie Bruce Pratt and this writer, all from the NWFN. Hundreds of activists braved the cold for a march and rally that began at Times Square in New York City on Feb. 17, 2007. Speakers included Berna Ellorin, BAYAN-USA; Mary Lou Al-Awda, Palestine Right of Return Coalition; Mary Klopart, Grannies for Peace; Ellie Ommani, American-Iranian Friendship Committee; Comrade Shahid, Pakistani USA Freedom Forum; Mia Cruz, FIST; Fallou Gueye, Union of African Workers-Senegalese; Jesse Heiwa, Rainbow Solidarity for the Cuban Five; WayQuay, Leonard Peltier Defense Committee; Jonathan Brown, World Can’t Wait; TONC representatives Larry Holmes, Brenda Stokely, Sara Flounders, Sharon Black and Dustin Langley. Other speakers included Councilperson Charles Barron, who recently introduced a local resolution against the war funding, Chris Silvera, chair of the Teamsters National Black Caucus and representatives from Millions for Mumia and Fanmi Lavalas. In 2008 Brenda Stokely, Co-Northeast Regional Organizer, Million Worker March Movement, New York signed a statement circulated by the Partisan Defense Committee calling for the release of convicted “cop-killer” Mumia Abu-Jamal. Back in June 2007 at the U.S. Social Forum, over 50 brothers and sisters gathered in Atlanta to discuss the state of the Black liberation movement and role of the Black Left. Most agreed that the Gulf Coast/Katrina disaster is a defining moment that requires that Black revolutionaries unite and work to build a National Black United Front. It’s initial focus being the development and support of a Gulf Coast Reconstruction Movement. This movement would be a part of a strategic flank of the wider National Black Liberation Movement. We are inviting you to join this effort and would like to include your name on the Call as an official endorser and participant of a National Gathering of Black Leftist to be sent out to others inviting their participation. The Gathering will be held at the Sonja Hayes Stone Center for Black Culture and History on the UNC Campus in Chapel Hill, NC on May 30 – June 1, 2008. This became the Black Left Unity Network. Brenda Stokely - New York Solidarity Committee with Katrina and Rita, New York. On the weekend of May 31-Jun 1,2008, dozens of African American organizers, artists and activists convened the first Black Left Unity Meeting at the Sonia Hayes Center in Chapel Hill, NC.The gathering was a continuation of the Black Left Unity caucus that meet in Atlanta during the US Social Forum. Those who attended the conference included Saladin Muhammad, Black Workers for Justice and the Black Workers League; ILWU Local 10 leader Clarence Thomas; activist and poet, Amiri Baraka; Million Worker March leader, Brenda Stokely; Ana Edwards, Defenders for Freedom, Justice & Equality; Ajamu Baraka, U.S. Human Rights Network; Patrisse Cullors, Labor Strategy Center; Efia Nwangaza; Theresa El-Amin; Kali Akuno from the Malcolm X Grassroots Movement; Jaribu Hill, Mississippi Workers for Human Rights; Vickie White, People’s Organization for Progress; labor organizer, Angaza Laughinghouse; Larry Adams, New York City Labor Against the War (NYCLAW); cultural artist, Luci Murphy; educators Muntu Matsimela, T. Menelik Van Der Meer and Sam Anderson; Yvette Modestin, Afrocaribenas y de la Diaspora; Colia Clark; and activists representing Fight Imperialism-Stand Together (FIST) and the Troops Out Now Coalition. In 2009 Brenda Stokely, past-President of District Council 1707, AFSCME served on the Advisory board of the Center for the Study of Working Class Life. Individual signers of the statement included Brenda Stokely of New York Solidarity Coalition with Katrina & Rita survivors. Signers of the letter included Brenda Stokely of NYCLAW, Former President of AFSCME of DC 1707 and Co-Chair of the Million Worker March Movement. 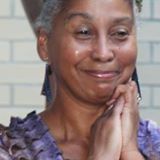 On September 21, 2010, Brenda Stokely attended a meeting at a midtown hotel with President of Iran, Mahmoud Ahmadinejad, and approximately 130 members of the U.S. "peace and social justice movements", as well as "major figures in the Black activist community." Stokely was also among those who made opening remarks at the meeting.